Talk about working out your faith with fear and tremblinga scheme is plotted to put the fright back into Skaryand get their most famous resident out of love and back into the thrill business. The biggest thing to happen to Skary, Indiana, is renowned horror novelist Wolfe Booneor, "Boo," as the locals fondly call him. For the past sixteen years, the reclusive writer has been the towns greatest attraction, having unintentionally turned the once-struggling Skary into a thriving tourist-trap for the dark side: from the Haunted Mansion restaurant, famous for its "bloody fingers" (fries splattered with ketchup) to Spookys Bookstore (where employees dress like the walking dead). But when a newly reformed Boone suddenly quits the genre and starts to pursue Skarys favorite girl-next-door, Ainsley Parker, the little town made famous by his writings becomes truly horrified. 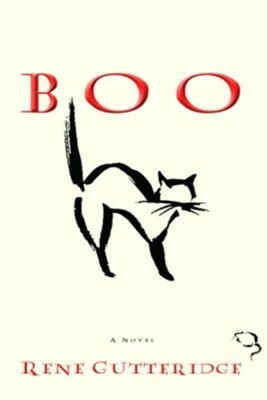 The residents know that the only solution is for Boo to fall out of love and get back to scaring. Filled with humor, small town charm, and a gentle message of enduring faith, Boo shows how even the most colorful group of busybodies and hypocrites can become a community changed forever by God. RENE GUTTERIDGE is the award-winning, best-selling author of twenty-four novels, including the Boo series, the Storm series, and the novelization for The Ultimate Gift, as well as Scoop and Snitch, the first two Occupational Hazard novels. She lives with her husband, Sean, and their two children in Oklahoma City. You can visit her at ReneGutteridge.com. I'm the author/artist and I want to review Boo - eBook.